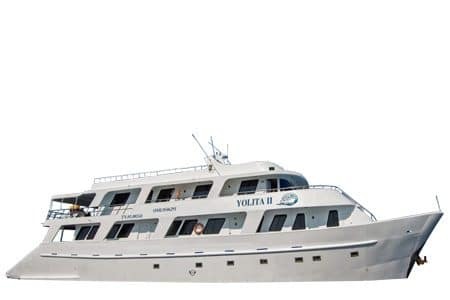 The Yolita Galapagos yacht is a well-known vessel in the Galapagos with years of experience. A comfortable yacht in the superior class with many traits usually expected from higher categories. 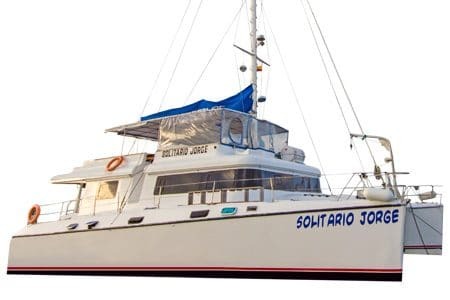 Amenities feature lower beds for all 8 cabins with private bathrooms in 2 decks, air conditioning and spacious lounge areas with a large sun deck. Available programs are thorough, for instance, itinerary A prioritizes the quality of interaction in visit points with a full 8-day loop that is sure to keep guest engaged at every turning point. Itinerary B favors those looking for shorter programs offering an array of combinations. The Angelito Galapagos yacht is among the highest rated cruise in our superior category, consistently receiving positive feedback. A stellar yacht that pays close attention to detail with a friendly staff looking after guest individual needs. A cruise that is constantly refurbished keeping amenities and onboard services at their best. Available programs are thorough and spread large throughout the islands. Itinerary B runs for 8 days only covering a fantastic route in the west & central islands, Itinerary A can be taken in portions, 4 or 5 days cover the central south or central north. Cabins feature lower beds rather than the regular bunks in superior class. 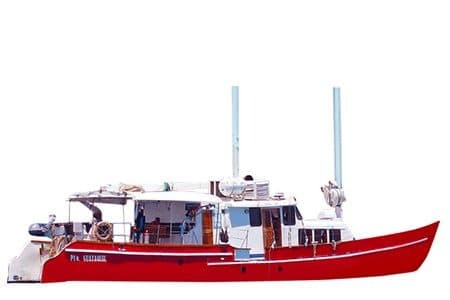 The Angelito Galapagos yacht is without a doubt a compelling option all things considered. 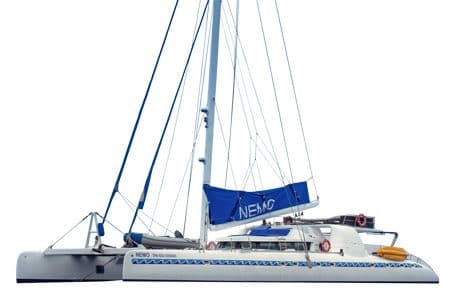 The Nemo 1 Galapagos Catamaran is among the best outdoors experience aboard a Galapagos vessel. 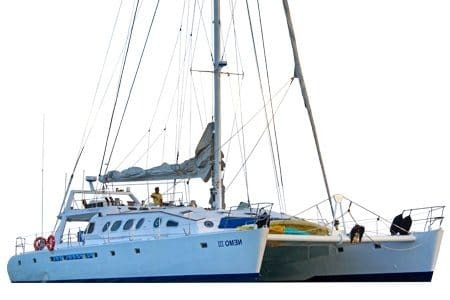 A superior vessel with sustainable practices that suits many occasions with a unique sailing adventure. The Nemo 1 features traits from larger vessels such as stability, with the privacy and personalized approach of smaller yachts. Double and bunk cabins are located in the side hulls of the ship at sea level, all carrying their own private bathrooms with hot showers and high stability. Two alternate programs covering the north west and south east where guest can choose among short and long itineraries. 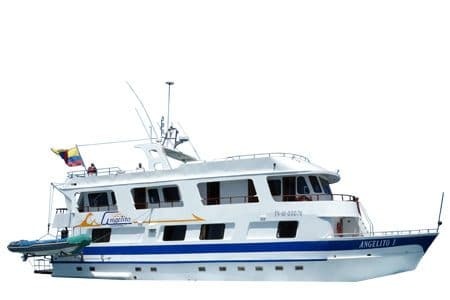 A small and easy going cruise, the Darwin Galapagos Yacht is a highly recommended yacht featuring cabins in all its three decks. Services include air conditioned rooms, hot showers with private bathrooms and lounge areas with a sundeck to enjoy the islands surroundings. With friendly – attentive staff and variety in their itineraries, make of the Darwin yacht a popular choice among those looking for an affordable yacht with a small group to get acquainted with your fellow travelers. Their loops are interestingly called Adventure or Discovery itineraries, which one are you? Are you after an adventure of a lifetime, or discovering Darwin’s footprints? 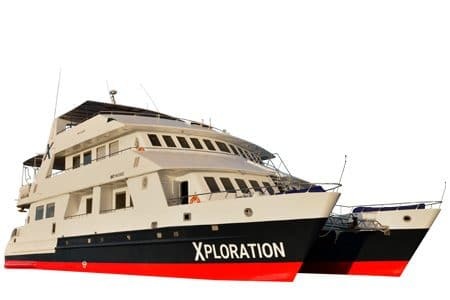 The Xavier Galapagos Yacht excels in service and value. Guests can benefit from gourmet meals; daily excursions to explore the Galapagos and unparalleled views from a broad top deck. 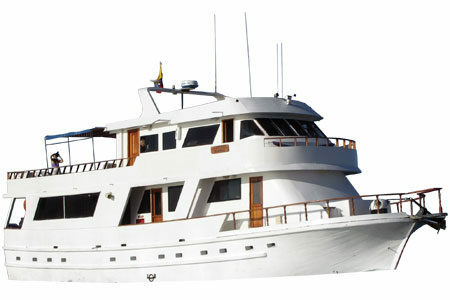 A spacious yacht that accommodates up to 16 passengers all in twin cabins (no bunks). Additional facilities in cabins include windows or portholes, air-conditioned rooms and private bathrooms. A great cruise paired with an exceptional crew that includes a certified bilingual guide guarantees a tour of a lifetime. 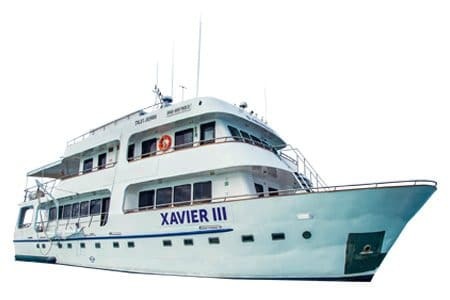 The Xavier Galapagos Yacht was built to cruise the islands and provide guests with panoramic ocean views throughout their stay. The Evolution Galapagos Ship along with its sister yacht (Grace) take on a completely different approach to the comfort and style unparalleled by other vessels cruising the islands. 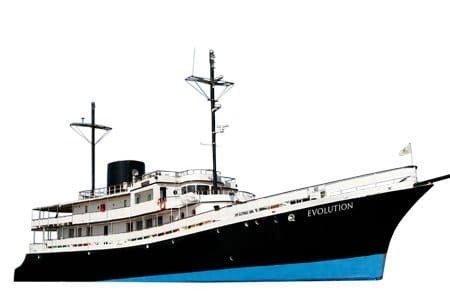 Reminiscent of the early 1900’s, the Evolution Galapagos Ship boasts an exquisite and unique atmosphere with elegant and distinctive features that blend with nowadays facilities such air-conditioned cabins, phone communication over satellite, and a spacious jacuzzi among others. A Charming 32 passengers expedition ship spacious enough to provide spacious staterooms, along with various social areas – including inside and outside dining – yet small enough for guests to be able to experience nature up-close in remote locations. An exquisite combination of factors yields a ship offering an exceptional service, great comfort and attention to detail, all the while maintaining environmental impact to a minimum. Come visit the archipelago and take some footsteps back in time, or follow in the Steps of Pirates & Darwin for a front row to the Galapagos Islands extraordinary ecosystem.